In 2002, our founders first became personally acquainted with the opportunities — and challenges — of developing commercial solar installations for flat roofs. 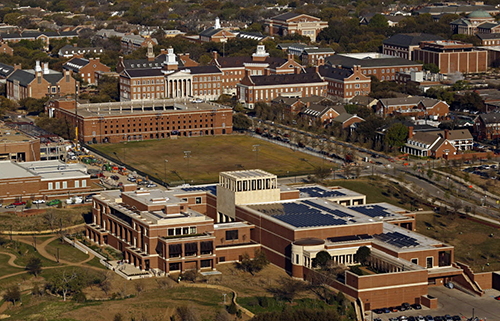 Originally working in the commercial real estate industry, they were charged with installing a 330 kW rooftop solar PV system on a flagship world headquarters for the AstroPower company. 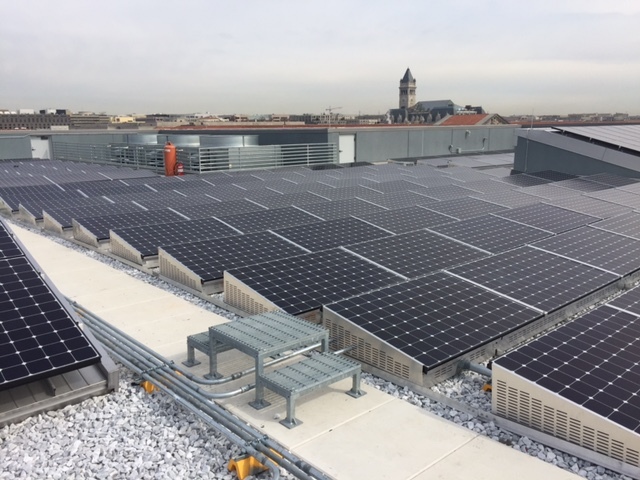 The project ignited the founders’ interest in solar electricity, but as property developers, they were unsatisfied with the roof-mounted racking systems available. Instead, our founders created a solar electric mounting system that optimized productivity and affordability. This system became the SolarDock — a patented, completely non-roof-penetrating commercial racking system. SolarDock part of largest community solar array in Washington D.C. The Smithsonian National Museum of African American History and Culture opens this weekend, and SolarDock is proud to be part of of this historic building. As a Partner since the founding of the company in 2004, Scott has developed license agreements with SolarDock manufacturers and participated in the development of over 4 megawatts of SolarDock installations for customers worldwide. Instrumental in managing company revenue growth rates of over 400% during the past few years, Scott is deeply involved in strategic planning, capital management and operations expansion for the rapidly growing firm. With more than 30 years of real estate development, finance and construction industry expertise, Scott’s entrepreneurial background helps support a flexible and responsive approach to the growth and deployment of the SolarDock business model. He continues to be active in real estate partnerships that own and manage warehouse and high-rise office buildings. Scott is a graduate of Utah State University in Landscape Architecture and Environmental Planning and has completed coursework towards an MBA at Northeastern University. A member of DSEC (Delaware Solar Energy Council), Scott has been a speaker at many privately-held clean tech conferences and at University of Delaware. He’s also served on task forces working to create better legislation for the solar industry. Dave is a proven business leader and solar industry pioneer. Dave has held many leadership roles in the photovoltaic industry going as far back as Director of Sales for one of the first early adopter solar companies, AstroPower, where he helped develop pre-packaged solar systems for individual home owners sold through new home builders and Home Depot. Dave was responsible for bringing solar power to thousands of home and making solar power systems as mainstream as household appliances. Prior to SolarDock Dave was Senior Manager, Sales managing solar module sales for Motech Americas; Commercial Operations Leader for GE Energy Solar Technologies Division; Director Global Sales for GE Energy Solar Technologies Division; Director of Sales, Americas for GE Energy Solar Technologies; and a small business owner for many years. Dave attended the University of Delaware and is also Six Sigma Certified. At the request of Delaware’s Governor; Dave serves on Delaware’s Renewable Energy Task Force representing the Local Renewable Energy Manufacturing Industry.